Photos shot this week show the seldom-seen interior of Apple's two-year-old data center in Mesa, Ariz., instrumental to services like iCloud, Siri, and iMessage. Apple on Friday announced a new activity challenge for Apple Watch owners, meant to commemorate Veterans Day on Nov. 11. 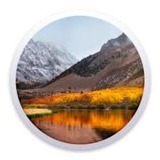 In recognition of Earth Day on April 22, Apple is creating a special "Earth Day Challenge" to reward reaching 30 minutes of exercise on the day with a special achievement badge in the Activity app, as well as stickers for use within iMessage.